Edamame are young soy beans and are well known as a healthy snack nowadays. The nutrients are different from other beans: there is less protein, carbohydrate and Vitamin B, but more vitamin A and C. Edamame is a healthy snack option, but don’t eat too much. I believe there is no such thing as a perfect food, the most important thing is balance. Even if it’s a healthy option, too much is never good. 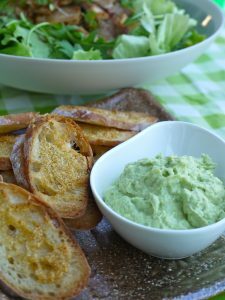 I love to eat edamame simple, but with this dip you can still enjoy the edamame taste! Also it can be used as a sandwich garnish. 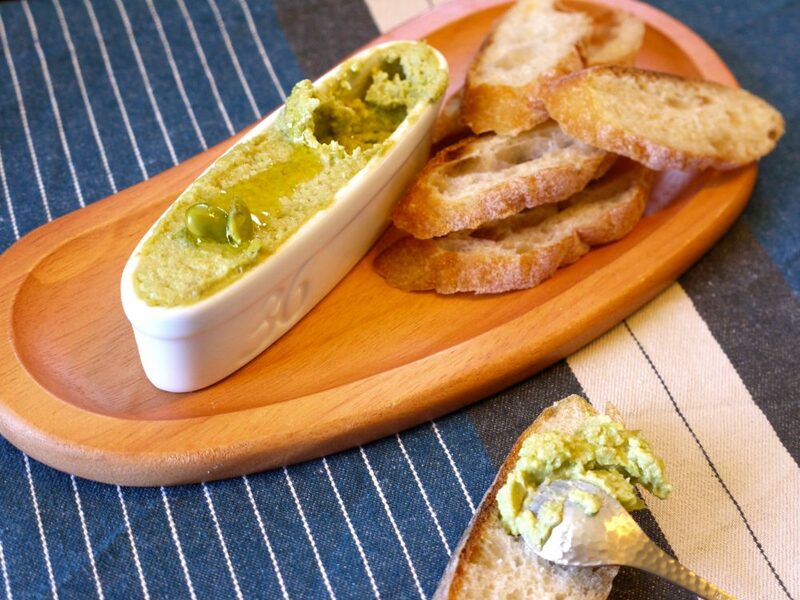 Add yuzu kosho (a hot Japanese condiment : pepper paste + salt + yuzu (Japanese citrus) peel) or wasabi as your preference. Yuzu kosho already contains some salt, so adjust the salt content. Prepare the edamame according instructions on the wrapper. Shell them. 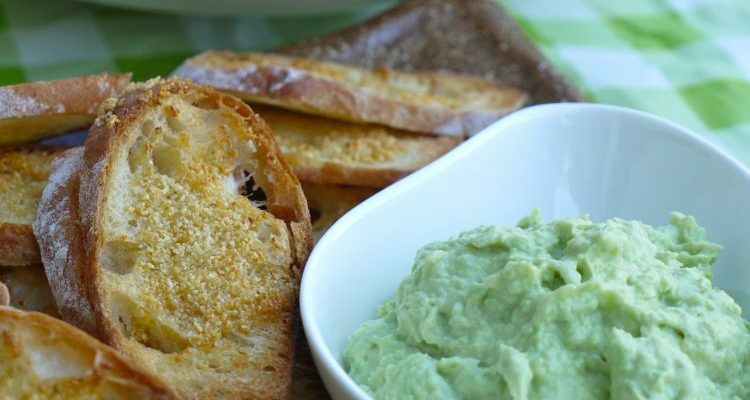 Peel the avocado and garlic. Add edamame, avocado, lemon juice, garlic, olive oil, salt, and tahini, (and yuzu kosho or wasabi) in a bowl. Mix with a hand blender or food processor.